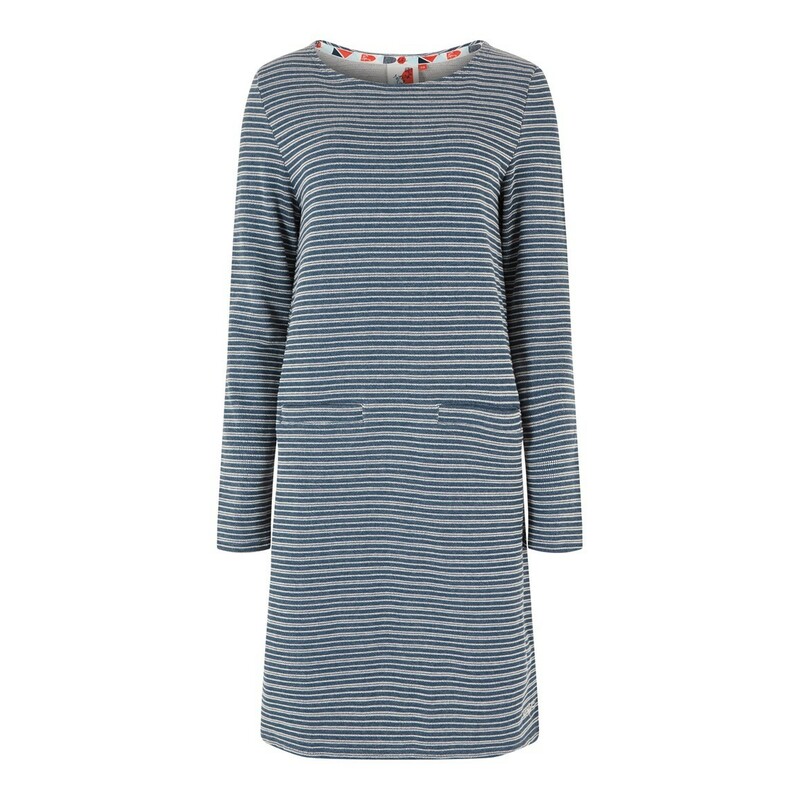 Combine comfort and style with our new Sailaway stripe jersey dress. 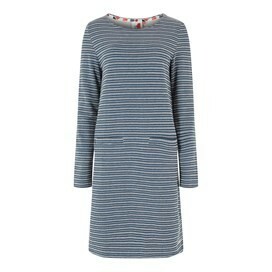 Made from 100% super-soft cotton, this pretty dress is both hard wearing and very comfortable. Lightweight and breathable, the Sailaway stripe jersey dress is the perfect choice when you're rushing to get ready. It's easy to wear and super comfortable too. A looser fit than their other dresses. I ordered a 10 and have worn it out, then decided it was rather baggy and I needed an 8! As it was still in the sale I purchased a 2nd dress which is better. I keep the 1st one for relaxing at home. Lovely material. Fits well and nice length. Colour is very nice not to dark, will be able to dress up or down.